Kennesaw Farmer’s Market– If you can’t find time on the weekends to shop for produce, stop by Adams Park Soccer Field Parking Lot on 2753 Watts Drive. This local market is open every Tuesday morning from May 6 until October 28 and features an assortment of fruits, vegetables, baked goods, plants and flowers. This market is now accepting vendors. For more details, please call (770) 499-0874. 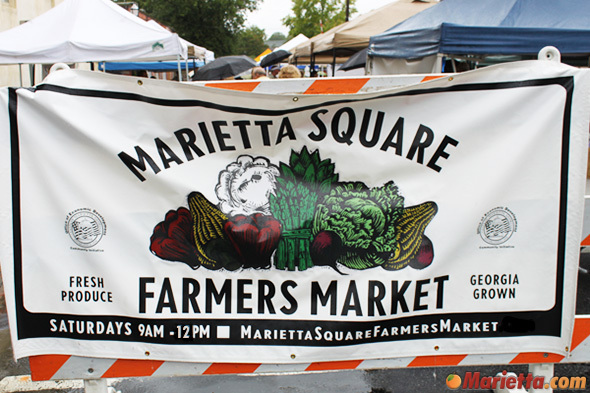 Acworth Farmer’s Market – Sponsored by the Acworth Downtown Development Authority, this market is held in the Main Parking Lot of the Acworth First Baptist Church from 7 a.m. to 11 a.m. every Friday morning from the end of May to the end of October. Smyrna Fresh Produce Market – On Saturday mornings from 8 a.m. to noon, drop by the Smyrna First Baptist parking lot (adjacent to Smyrna Market Village) for your locally grown produce. Open from May through October, this market is steadily attracting attendees and welcomes any newcomers.